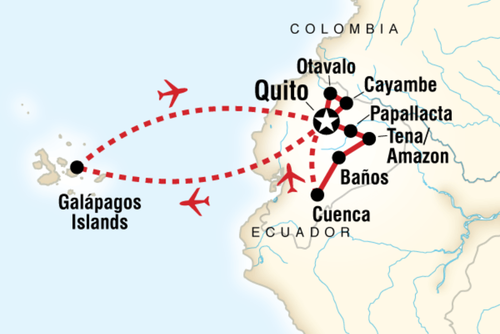 Mix sightseeing and volunteering to find an adventure that fits you and your family in Ecuador or the Galapagos Islands! You can choose from the many different volunteering programs offered by Lead Adventures according to your interests. You could be helping to feed and take care of animals in the Amazon, doing conservation work in the Galapagos, looking after street children in Quito, and many more! Volunteer responsibilities will depend on the program your family chooses.Explore our website and see which opportunity suits you! Choose from and mix and match our programs to find an adventure that fits you and your family! Share an experience of one of the most exciting and diverse countries in the world. 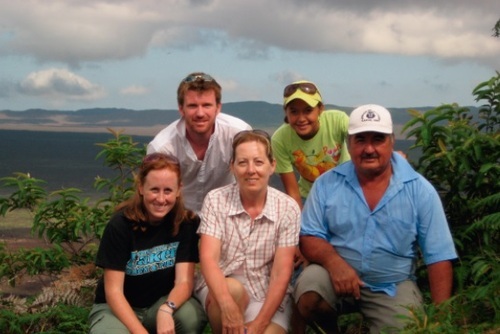 Take the opportunity to travel and volunteer together as a family in any of the four amazing regions of Ecuador: Amazon, Andes, Coast and the Galapagos Islands. You can combine volunteer work with adventure travels or tours, and really get to the roots of the country. Help street children, schools, animal rescue centres, a Galapagos Giant Tortoise breeding centre, coach sports, and more. 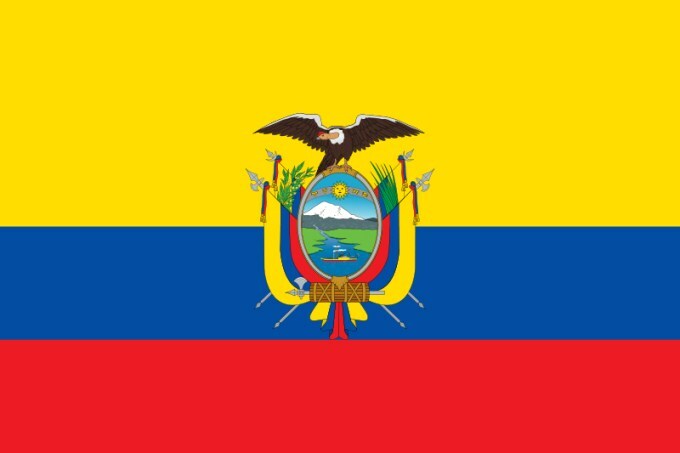 You can even combine one week at one project and the next in another one so you experience more of the wonderful country of Ecuador. This is the ultimate opportunity to break your usual routine and share this experience together; family volunteering can be life changing for everyone. This is a family holiday that will stay with you for a lifetime! Baños is located on the northern foothills of the Tungurahua volcano. It is named after the hydrothermal springs of mineral water located around the city. Baños is full of adventure activities, including the Manto de la Virgen waterfall, ride a horse in the hills around the town, walk, hike or climb the surrounding trails and the volcano, mountain bike the breathtaking scenic road to Puyo or raft on one of the nearby rivers. Visit the Galapagos Islands and Island Hop! Start at Espanola Island and enjoy natural wonder after natural wonder, from the immense blowhole, to the thousands of nesting blue-footed boobies, to the world's largest waved albatross colony. Continue to Floreana Island and see flamingos! Enjoy Black Tortuga Bay on Sta. Cruz and witness a mangrove maze chock full of sharks, rays and sea turtles. In Quito: The Teleferico takes visitors almost to the top of the Volcano Pichincha. It is worth putting aside a few hours for the trip, and day or nighttime is equally interesting. The cable cars will take you up to almost 14,000 feet and the views are stunning. 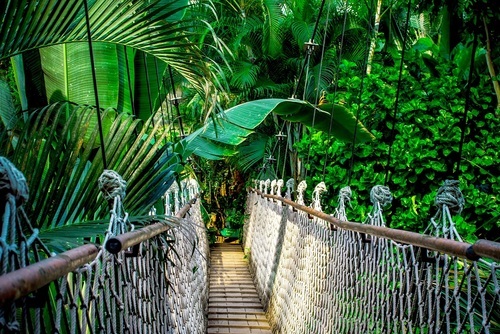 Amazon: Conservation work, animal rescue centers, white water rafting, jungle treks and more. Andes: Conservation work, animal rescue center, canopy tours, mountain climbing, treks, and more. Galapagos: Conservation work, Galapagos Giant Tortoise Program, the best diving in the world, island hopping, snorkeling and more. 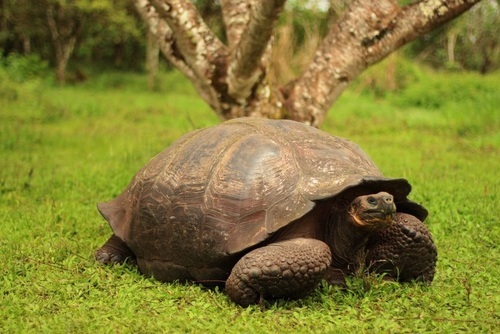 Visit the Galapagos Islands and Island Hop! Start at Espanola Island and enjoy natural wonder after natural wonder, from the immense blowhole, to the thousands of nesting blue-footed boobies, to the world's largest waved albatross colony. Continue to Floreana Island and see flamingos! Enjoy Tortuga Bay on Santa Cruz Island and witness a mangrove maze chock full of sharks, rays and sea turtles. 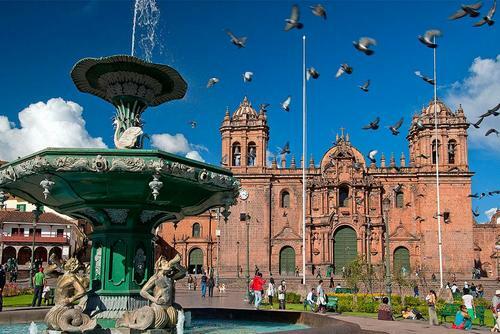 Spend time in Quito, Ecuador’s capital city and UNESCO World Heritage Site. Explore the narrow streets and beautiful squares in the Old Town, go to the indigenous markets or just take a stroll through this beautiful city. Admire the stunning views of Quito and surroundings from the top of the Volcano Pichincha. The Teleferico cable cars take you up to almost 14,000 feet. Visit Baños in the northern foothills of the Tungurahua volcano. It is named after the hydrothermal springs of mineral water located around the city. Baños is full of adventure activities, including the Manto de la Virgen waterfall. 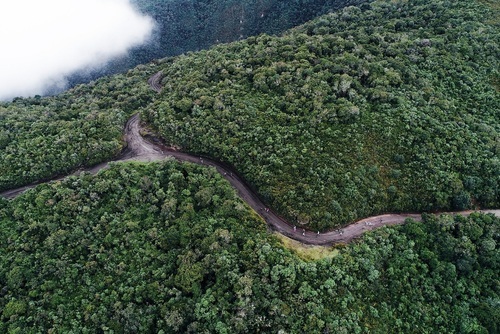 You can ride a horse in the hills around the town, walk, hike or climb the surrounding trails and the volcano, mountain bike the breathtaking scenic road to Puyo or raft on one of the nearby rivers. We customize itineraries to your needs. If desired, we can provide special accommodation arrangements to provide you with the comfort you require.